Life is full of contradictions, probably none more so than when buying a house. On one hand, it’s the biggest financial decision the homebuyer will likely make – a decision that should be entered into linearly, with great rationality and deliberation. On the other hand, buying a home one of the most emotionally charged decision a person will make. It’s the place that is a reflection of status in the community, the place where someone may retire and live their final years, the place where children are raised, the place where family and friends are welcomed and entertained, a refuge from the world’s stress. A Trembley Group Real Estate Sales Executive understands these contradictions and sees their job as getting to know their clients – their requirements and needs – and then showing them the two or three houses that are the perfect match – the ideal investment for their hard-earned dollars. Spending six months driving around the Grand Strand trying to convince a client to buy a home that’s too small, too costly, in the wrong school district, or doesn’t have a dining room is unfair to a client and a waste of their time. Before taking a look at any house, a Trembley Group Sales Executive can help set priorities. With input from a variety of sources, a homebuyer can choose the top five, or even top three, must-haves. 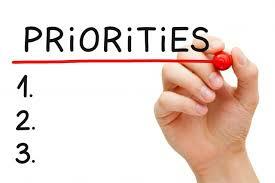 Keeping the priority list close at hand can help a homebuyer stay on track. A home buyer doesn’t want to be overly influenced by a wide front porch or recently polished hardwood floors unless of course, those items are on the must-have lists. After seeing a few houses, it becomes very difficult to keep track of all the features in each one. The Trembley Group comparison chart and checklist makes it easy to take notes and keep house features straight. Whether it’s a style of living or the actual aesthetic of a property, a home needs to be a place the homeowner feels proud to pull up to each day. 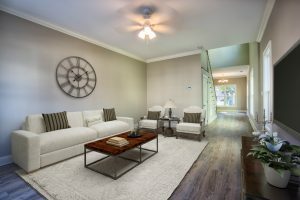 Since the appearance of a home is one of the first things that’s noticed, finding a style that fits the homeowner’s personality is more important than most people realize. Single detached homes are a great choice for those who want the freedom to customize a property to exact specifications. Condominium living is ideal for people who want to own their own home while still having access to country club-like amenities and minimal landscape and exterior maintenance. Townhome living offers a compromise between the two. Each homeowner’s association is different, so it’s important to learn the specific policies associated with every community. Once a style of living is settled upon, focus on aesthetics. A modern and minimalist condo community obviously looks like night and day from a Victorian detached home. Start looking for a home in your daily travels. Think about the different types of homes you see. Make a note of the ones you could see calling home and which styles are a complete turnoff. Discuss the likes and dislikes with a Trembley Group Real Estate Sales Executive. Consider a Home’s curb appeal. A home should reflect the owner’s lifestyle. If they live a laid-back life, then they might not want a formal Victorian or Tudor style home. Something simpler and more contemporary might be in order. Look at the exterior features. A brick home is easier to maintain. Is the roof in good condition? Is the landscaping attractive and are the sidewalks leading to the home safe? The ease with which you can move from indoor to outdoor living areas and back again can make a huge difference in the day-to-day experience of living in a home, especially in Myrtle Beach and along the Grand Strand. If this is important, look for French, sliding or accordion glass doors leading from the main living spaces to the outdoors. One of the tricks to finding dream home is figuring out how much space is truly needed. Buying a home that is too small for a family will leave them continually trying to configure the space to make it work. But buying a home that is too large will allow more room to spread out, but create avoidable costs. Think about the space where you currently live. How does it feel? Are there enough bedrooms or do multiple family members have to share? Is there enough storage for all a family’s belongings? And in addition to the current living situation, don’t forget future plans. Will there be an addition to your family sometime soon? A new child or an older relative will require a little extra room. The ideal is a happy medium that gives room to grow without going overboard. And not all space is created equal, which is where the floor plan comes into play. Comparing two properties that are both 2,000 square feet, one could dedicate most of the space to the living area while the other could focus on more spacious bedrooms. While it is possible to redesign your floor plan after moving into the home, it’s a long process that requires a huge commitment of time and finances. Unless you are particularly handy, it’s a project that will require hiring a team of contractors. Be sure to focus on finding a layout that is as close to perfect as possible. Picture yourself using the space while walking through the property. Think about all the possibilities of living in the perfect home. Let it all soak in. When touring a home for the first time, the excitement can make it difficult to focus on anything at all. Have fun, wander around and mentally note the first impressions of the space. Think about how the new home space will be used and whether it will fit the current and future lifestyle. A homebuyer may not have the slightest problem with stairs today, but it might be helpful to think about the future. If thinking about a future need to take in an elderly relative or planning to age in place, a long, steep staircase may not be the best feature. 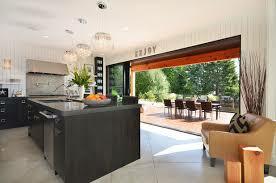 Like indoor-outdoor flow, the interior layout, or floor plan, can have a big effect on your daily life. Walk through the rooms, imagining a typical day living in the home. Is it difficult navigating through the home? Are there sharp corners and narrow passages or is there an easy, natural flow from one room to the next? Every room in a house presents a challenge with furniture placement. New furniture could effectively add thousands of dollars to a home’s price if buying new furniture is a necessity. Determine the ideal room size that fits a lifestyle. Imagine setting up furniture in the rooms. A home buyer doesn’t have to be an architect to draw a super-basic floor plan. Having it to refer to later is priceless. Starting at the front door, draw boxes for rooms and mark doors, windows, stairways, and openings roughly where they are. And taking photos (or even a video) is a great idea. It’s amazing how quickly memory fades. It’s best to ask The Trembley Group Sales Executive for permission before taking any photos or video. And even with permission, it is assumed that the photos and videos are for personal use. Don’t post them to a Facebook page or blog. Open the closets and cupboards. Proper storage is really important to how a home looks and feels. Note the number and size of cupboards and closets throughout the house, and don’t be afraid to peek inside. If the current homeowner has them jammed packed, it’s an indication that the house doesn’t have adequate storage. Older homes tend to have small closets and little storage space. If a prospective purchaser has lots of sports equipment, craft supplies, out-of-season clothes, and holiday decorations, it’s important to know where it will fit in their new home. Newer homes tend to have big closets and lots of storage. Adding storage later might mean sacrificing living space in other rooms. Look high and look low and focus on things outside of the normal usual line of vision. 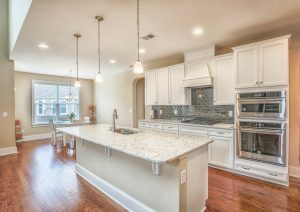 Check out the ceilings, walls, floors, trim, windows, and under the sinks. It is important to get a good look at the house that could be your new home. Take a moment to envision how the space would be used. Just because the current owner (or staging company) has the second bedroom set up for guests doesn’t mean that it can’t use it as an office, a home gym or a nursery. Paint colors, furniture arrangements, and window treatments can also all be swapped out, so don’t be limited by a lack of imagination. Decide how many bedrooms and bathrooms are really needed, and only look at homes that meet that criteria. It would be a shame to fall in love with a cozy, charming cottage that just isn’t big enough. An extra bedroom is always a plus, as it can be used for a home office, craft studio, or guest room. If adding another room later, be sure to consult an architect who can advise you on space planning, lot usage, and city zoning regulations. If the kitchen is the heart of your home, so don’t settle for a home with a kitchen that won’t work. It is always possible to remodel, but that’s very costly. Can cabinets be refaced? And what about countertops? Will an inexpensive makeover be sufficient? And what about the appliances? When will they need replacing? A Trembley Group Real Estate Sales Executive can be a valuable resource when it comes to kitchen finish and design. Do you love a bright sunny room or do you love privacy? Look at a home with light and sunshine in mind. Look at the locations of electrical outlets and fixtures. Will they accommodate your lighting needs? Is there recessed lighting in the kitchen, cove lighting in the family room and a lovely chandelier in the dining room? If not, you can add them later (at an additional cost), but it’s nice to have it in place on move-in. Sometimes the simplest home looks spectacular because of the installation of moldings, hardware, and a fireplace screen. Look for them while house hunting or be ready to add them after move-in. Great architectural details, like exposed beams, beautiful molding and mantels, will make everything else in a home look even better. In the hunt for the perfect house, it’s easy to get swept away by a home’s most charming details (a gracious front porch) and play down the important stuff you’ll be kicking yourself for later (the price is over budget). Keeping everything straight can get complicated. Setting priorities and streamlining the house-hunting process early on is a lot easier with expert advice and guidance. There is no better place for expert real estate advice than a Trembley Group Real Estate Sales Executive. Call today to begin a process that may turn out to be one of the most exciting and lucrative of a lifetime.